A British-born Muslim convert said ‘I spit at Britain’ in an ISIS allegiance video as he plotted to slaughter shoppers in a ‘ram attack’ outside Oxford Street’s Disney store. 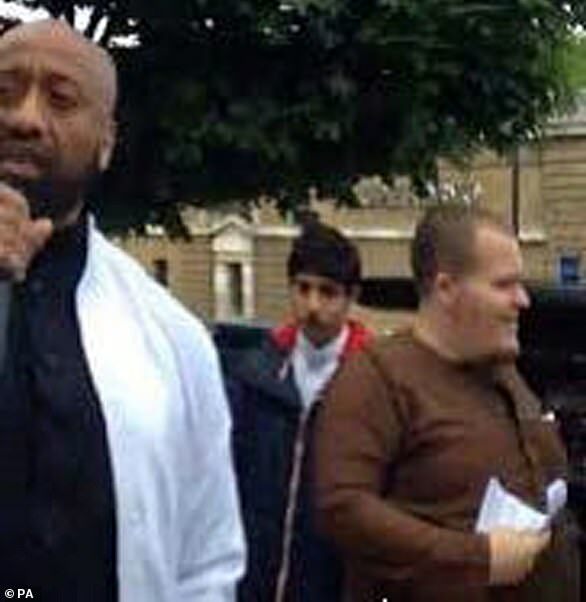 Lewis Ludlow, a former Royal Mail worker from the upmarket Kent town of Rochester, became radicalised after converting to Islam and attended the poppy-burning rallies of hate preacher Anjem Choudary. The 26-year-old then tried to join a new ISIS group in the Philippines, but was stopped from travelling and so turned to hatching plans for an attack in London. 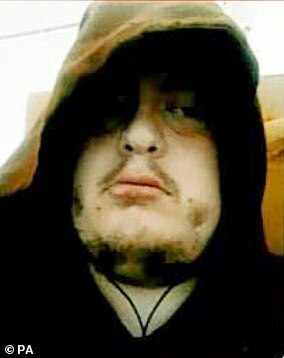 He plotted a vehicle attack on Oxford Street or Madame Tussauds while, at the same time, meeting officials from the deradicalisation programme Prevent, a court heard today. The convert had been offered three different courses of de-radicalisation since he first came to the group’s attention in 2008, but repeatedly failed to show up. An investigation revealed he was preparing to drive a van into shoppers on Oxford Street or near tourist hotspot Madame Tussauds. Prosecutor Mark Dawson told an earlier hearing: ‘This was a plot to cause mass fatalities using a vehicle in Oxford Street targeting among other places the Disney store or pedestrians in and around Oxford Street at its busiest times. Ludlow admitted charges of preparing acts of terrorism and funding terror and was sentenced today. He was once attracted to the far-Right and expressed admiration for Hitler – but turned to Islam after his aunt was ill and soon became radicalised. Ludlow had been offered three different courses of de-radicalisation, a court has heard. 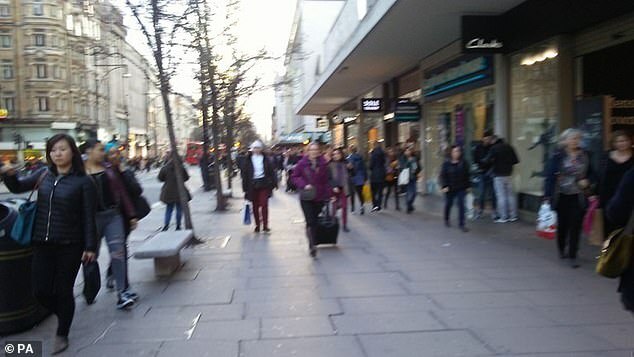 He had attended a series of 17 meetings of the Prevent de-radicalisation programme beginning on October 20 2017 and attended one on the day he conducted his surveillance in Oxford Street. In December 2008, he start ‘community mentoring’ at a local mosque. In July 2010 a Prevent ‘engagement’ decision was taken to use a local imam as a mentor but Ludlow failed to engage, despite several attempts. The following month there was a decision to use a Home Office approved mentor but, despite several attempts, Ludlow still failed to attend meetings. Nevertheless, there was a second referral to Prevent on June 13 2012, when police visited his mother. However, records showed that Ludlow failed to respond to calls to arrange meetings throughout 2012 and 2013. On April 5 2013, he was discharged from Prevent for a second time due to lack of engagement and referred to the police’s ‘Pursue’ team. A third attempt to engage with him was made in October 2017 when he accepted a visit by a Home Office intervention provider. However, he then referred the matter to his solicitor, who contacted police saying he did not want any further contact. He was served with a travel ban and collected by a Prevent police officer from Heathrow in February 2018 when a search warrant was executed at his address. In February 2018, a Prevent officer contacted Ludlow’s lawyer saying engagement could ‘still be productive’ but there was no further involvement of Prevent after March. 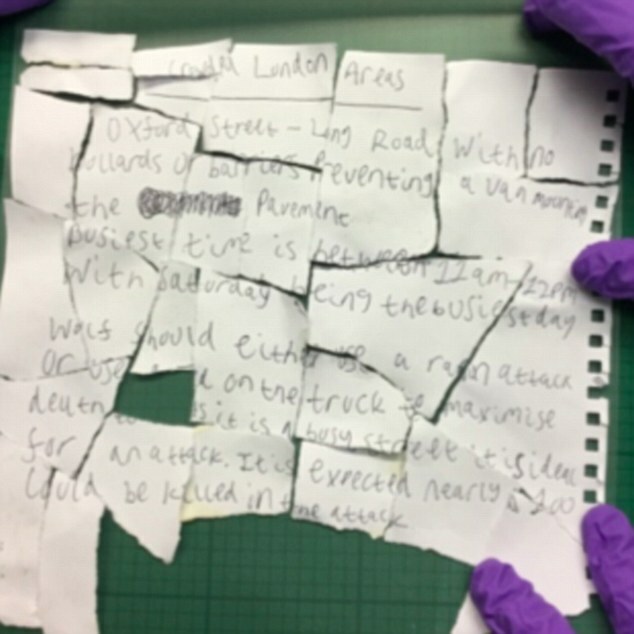 On March 21 surveillance teams recovered a number of torn up notes from the bins at Ludlow’s address which suggested that he was actively involved in preparing for a terrorist attack in London using a van. 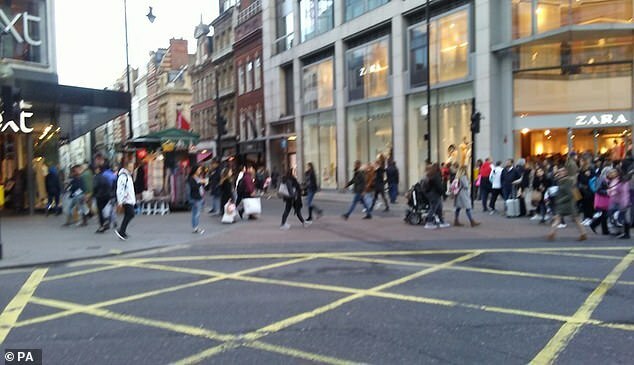 A second note went into detail about his ‘lone wolf’ attack: ‘Crowded London Areas: Oxford Street – long road with no bollards or barriers preventing a van mounting the pavement. ‘Busiest time is between 11am – 12pm with Saturday being the busiest day. Prosecutor Mark Heywood QC said there was evidence the defendant wanted to recruit a second attacker as he did not have a driver’s licence and was ‘scared’ of crashing. On April 13 last year, Ludlow’s mobile phone was retrieved from a storm drain and found to have videos of the defendant swearing allegiance to IS and evidence of ‘hostile reconnaissance’. 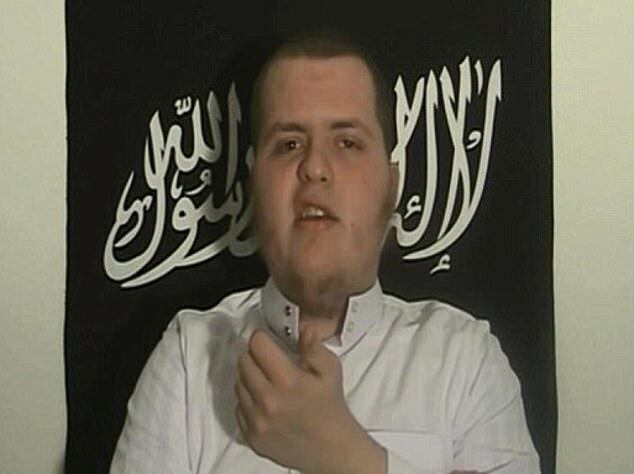 He went on: ‘I am the Eagle and I pledge allegiance to Dawlatul Islam [ISIS]. ‘I have grew up amongst you filthy [word unclear] I learnt your culture, your ways of life and your disgusting debauchery. I reject all of this. ‘I am amongst you as someone who has given dawah [proselytising] for many years and as one who has studied the deen [religion] of Islam. ‘There is nothing between us except animosity and hatred. We love death as much as you love life so therefore, my allegiance is to Islamic State. ‘I have nothing for this country of Britain. I spit on your citizenship, your passport, you can go to hell with that. The court heard today that, in June 2015, Ludlow had discussed with Hussain doing something before travelling abroad and mentioned his job at Royal Mail. He wrote: ‘At my job at a Royal Mail warehouse we had a book that mentions how staff look out for suspicious items like bombs. Hussain told him it was a ‘good idea’ and Ludlow promised to ‘look into it’. That year he was arrested and IS material was recovered from Ludlow’s phone but no further action was taken. Giving evidence, Ludlow, who converted to Islam at 16, told how he dropped out of school after he was bullied for nine years. He said: ‘I was a loner. I was on my own and it was sad. People would say they found me too strange. 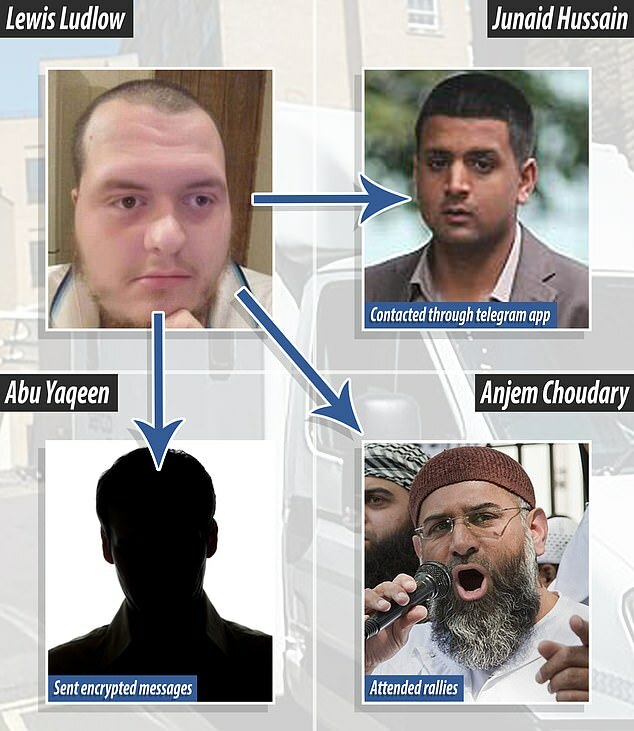 Ludlow said he found details about Anjem Choudary’s group online and was invited to demonstrations. At first it was ‘friendly’ and he was seen as ‘funny’ but after two years things turned sour and he was suspected of being a spy, he said. Ludlow told the court how MI5 tried to recruit him as a ‘spy’ a year before he hatched his terror plot. 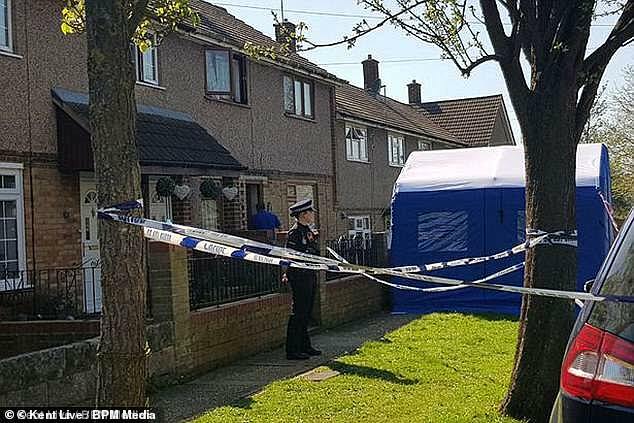 The defendant, who claimed benefits for eight years, had met a member of the security services near his family home in Rochester in March 2017, it was claimed. In a video message Ludlow said his allegiance was to Abu Bakr al-Baghdadi, the leader of ISIS and added: ‘I am the Eagle and I pledge allegiance to Dawlatul Islam [ISIS]. ‘So be ready, for we too are waiting. Signed off, The Eagle’. 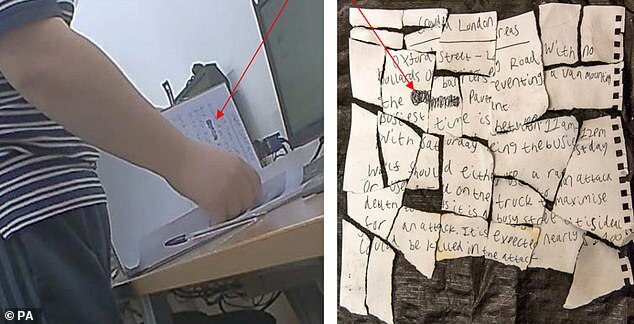 The computer at the internet cafe revealed that he had also searched for information about a police station on Oxford Street. 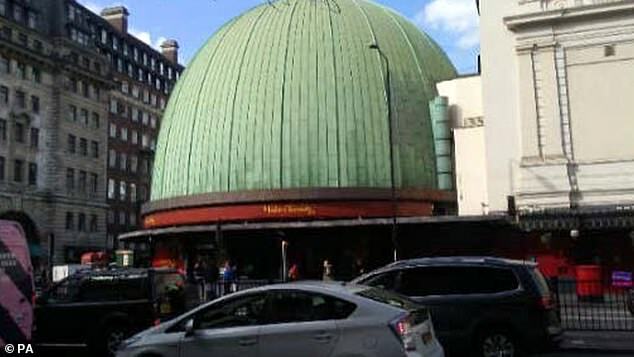 A third note read: ‘Hotels and van prices: Prices vary for hotels near Oxford Street, it is best to look at trip advisor or expedia.co.uk – Frith Street, Soho London W1D 3JE isnear the attack site.